On March 1, a Washington Post editorial criticized the new Cuban constitution. Editorial, Cubans are losing their patience—and their fear, Wash. Post (Mar. 1, 2019). See Cuban Citizens Approve New Constitution, dwkcommentaries.com (Feb. 26, 2019)/ This total of 21.4% may be overstated as some qualified voters may not have voted even though they supported the constitution or spoiled their ballots for innocent reasons. See Cuba Arrests Opponents of Proposed New Constitution, dwkcommentaries.com (Feb. 14, 2019); posts listed in “Cuban Bloggers” section of List of Posts to dwkcommentaries.com—Topical; CUBA. Fidel’s commentary on President Obama’s recent visit to Cuba, which was discussed in an earlier post, has received a lot of coverage in the international press, but most articles merely summarize what Fidel said with little analysis. Here are substantive reactions to Fidel’s commentary. The Wall Street Journal offered an analysis by Sebastian A. Arcos, associate director of the Cuban Research Institute at Florida International University, who said Fidel is “essentially an old man ranting in the background, [his essay is} rambling, it’s incoherent. It’s definitely not on topic.” This is consistent to my reaction as stated in the prior post. My prior post also expressed disagreement with Fidel’s assertion that Cuba could produce all the food it needed. According to the Wall Street Journal, this assertion also was challenged by Yoani Sanchez, a dissident Cuban blogger, She points out that cash-strapped Cuba spends nearly $2 billion a year importing 80% of the food that its 11 million residents consume. Yoani also reported that Mr. Obama’s speech has been distributed extensively on the island, with high-resolution videos of the address on computer memory drives. Another point of disagreement with Fidel, as noted in the prior post, was regarding his contention that the Cuban Revolution had swept away racial discrimination. I am not a physician and do not have personal knowledge on this issue, but on my first visit to Cuba in 2002 I visited a polyclinic in the city of Matanzas and observed poor, unsanitary conditions, and on every mission trip to Cuba members of my church always take large supplies of over-the-counter medicines that the church then dispenses as a de facto pharmacy. In addition, an Ecuadorian ophthalmologist and a retired emergency room physician have told me that they have had to solve medical problems created by poor care from visiting Cuban medical personnel, but I do not know if these are isolated or widespread instances. “And the kind of engagement that President Obama was able to pursue in the context of his visit is the kind of engagement that would not have been possible had he not made the trip. The President was able to go to Cuba and urge President [Raúl] Castro in person about the importance of human rights. The President was able to stand before a news conference, the assembled global media, and make a forceful case for the Cuban government to better protect universal human rights. That also created a venue where a couple of your colleagues were able to ask President [Raúl] Castro about this issue directly. On March 29 Cuban Foreign Minister Bruno Rodriguez said that ending the embargo (blockade) had to be the unilateral act of the U.S. It would not be the result of any negotiation with Cuba or any concessions by Cuba. He also said the U.S. still has the strategic objective of dominating Cuba economically and politically, but that Cuba would never give up the principles of the Revolution or its independence. This point was made, Rodriguez said, in the timely reflection of Fidel Castro with his extraordinary historical authority when he said Cuba does not need gifts from the U.S. In short, Fidel Castro overstates the case for the Cuban Revolution. Yes, it has made improvements in many aspects of Cuban life. But the Revolution did not create an utopia. Cuba is neither heaven nor hell. There is still room for improvement. The same is true of the U.S., as President Obama acknowledged in his speech to the Cuban people. White House, Press Briefing by Press Secretary Josh earnest, 3/28/2016 Also on March 28, a U.S. Department of State spokesman said Fidel Castro “can speak for himself and his views of the troubled U.S.-Cuban history. . . . [The U.S.] believes “engagement’s the best way forward. . . . Nobody expected that the normalization process with Cuba was going to be linear or easy or quick. We all recognize there are still differences – human rights being one of them.”. Prensa Latina, End the blockade must be US unilateral act, Granma (Mar. 29, 2016). A prior post discussed preliminary information about U.S. Secretary of State John Kerry’s August 14 meeting with Cuban dissidents and others at the official Havana residence of the U.S. charge d’affaires. The other attendees included representatives of the Engage Cuba coalition for normalization; its members (the Center for Democracy in the Americas, #CubaNow, Procter & Gamble, the American Society of Travel Agents, Cuba Study Group, and the Washington Office on Latin America); notable members of Congress, including Senators Klobuchar, Flake, and Leahy; leaders of the American business community; and Cuban independent entrepreneurs. Further information about that meeting has been added by Ernesto Londoño, the member of the New York Times Editorial Board who was the main force behind last year’s series of editorials urging normalization of U.S. ties with Cuba, and by Engage Cuba. Londoño reports that Cuban dissidents are very pleased with such normalization and with the August 14 ceremonial opening of the U.S. Embassy in Havana. He referred first to the article in The Atlantic by Yoani Sanchez that was mentioned in the prior post. This was confirmed in an email to him from Sanchez. With respect to the meeting with Kerry, she said “People hugged and greeted each other like they were at the baptism of a creature that had a rough, problematic gestation, and has finally come to life. It’s been many years since I’ve witnessed a moment like that, surrounded by so many happy people.” Moreover, Kerry ”left a “profound impression” on them, with his listening carefully to their concerns and brainstorming about ways to expand Internet access on the island. Engage Cuba said that they met Cuban entrepreneurs engaged in event planning, supplying promotional packaging, designing fashions and creating mobile apps. These interactions reinforced Engage Cuba’s efforts to identify opportunities to support these entrepreneurs by connecting them with counterparts in the U.S. and the coalition’s commitment to help unleash the potential of the Cuban economy by working with Congress to end the travel ban and lift the trade embargo. While we continue to work with Congress. Londoño, Cuban Dissidents Buoyed in a New Era, N.Y. Times (Aug, 24, 2015), ; Email, Engage Cuba to supporters, Living History: Cubans And Americans Embark On A Better Future (Aug. 24, 2015). As mentioned in prior posts, on August 14, 2015, Secretary of State John Kerry delivered the main remarks at the ceremonial opening of the U.S. Embassy in Havana and thereafter held closed-door meetings with the Cuban Foreign Minister and other diplomats. That afternoon he attended a meeting with Cuban dissidents at the official Havana residence of the head of that Embassy, charge d’ affaires, Jeffrey DeLaurentis. Who was there? What happened? According to the Associated Press, Kerry told the group that Cuban leaders should not expect to see progress on the embargo without improvements in civil liberties in Cuba, which does not allow independent media, political parties other than the ruling communist party or direct election of anything but low-level municipal posts. “There is no way Congress will lift the embargo if we are not making progress on issues of conscience,” he said. Assoc. Press, A Festive Flag-Raising, Then Tough Talk on US-Cuba Relations, N.Y. Times (Aug. 15, 2015); Gordon, Kerry Strikes Delicate Balance in Havana Trip for Embassy Flag-Raising, N.Y. Times (Aug. 14, 2015); Klapper & Weissenstein, Kerry calls for democracy as US flag is raised in Cuba, Wash. Post (Aug. 14, 2015). The dissidents were not invited to the embassy ceremony to avoid tensions with Cuban officials who typically boycott events attended by the country’s small political opposition. This was criticized in editorials in the Washington Post and the Wall Street Journal. One of the breakfast guests was Antonio Rodiles, founder of the activist group Estado de SATS, who said, “The breakfast was cordial, but we said we still have doubts about the next steps.” He and others thought that Cuban concessions on human rights and free expression should have been a pre-condition of any new U.S. policy and that the Cuban diaspora, primarily in the United States, should have been consulted. Some said the Obama administration, was effectively cherry-picking its preferred dissidents, focusing attention on those who supported Obama’s outreach. 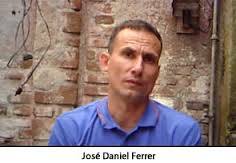 Another guest, Jose Daniel Ferrer, the head of the Cuban Patriotic Union, widely considered the largest and most active opposition group, with up to 5,000 open and underground members, observed, that the Cuban “people are still assimilating” the historic changes in the relations of the two countries and that some Cubans resent the eighteen-months of secret talks before announcing last month that they would restore diplomatic ties. Others at the breakfast included; Hector Maceda, president of the Cuban Liberal Democratic Party; activist and hunger striker Guillermo“Coco” Fariñas; and dissident economist Marta Beatriz Roque. At least one activist, Berta Soler of the Ladies in White group of political prisoner families, declined Jacobson’s breakfast invitation. Two who attended said they told Jacobson that they disapproved of the new U.S. policy. After this meeting Jacobson met with influential Cuban blogger Yoani Sanchez. Later that same day Josefina Vidal, Cuba’s top diplomat for the United States, said that U.S. support for dissidents is an “action that isn’t acceptable for Cuba, and they know it.” Moreover, she indicated that whether or not Cuba would accept the U.S. request to allow U.S. diplomats to go where they want was associated with “better behavior” by the U.S. This post is based upon the following: Klapper & Weissenstine, U.S., Cuba End Historic talks with More Questions than Answers, Assoc. Press (Jan. 23, 2015); DeYoung & Miroff, U.S. diplomats meet with Cuban dissidents in Havana in gesture of reassurance, Wash. Post (Jan. 23, 2015); Reuters, Senior U.S. Diplomat Ruffles Cuba by Meeting Dissidents, N.Y. Times (Jan. 23, 2015); Maye, Cuban dissidents divided attend attend the meeting with Roberta Jacobson, El Pais (Jan. 23, 2015); Ayuso, The dialogue between the US and Cuba exposes the division of dissent, El Pais (Jan. 24, 2015). 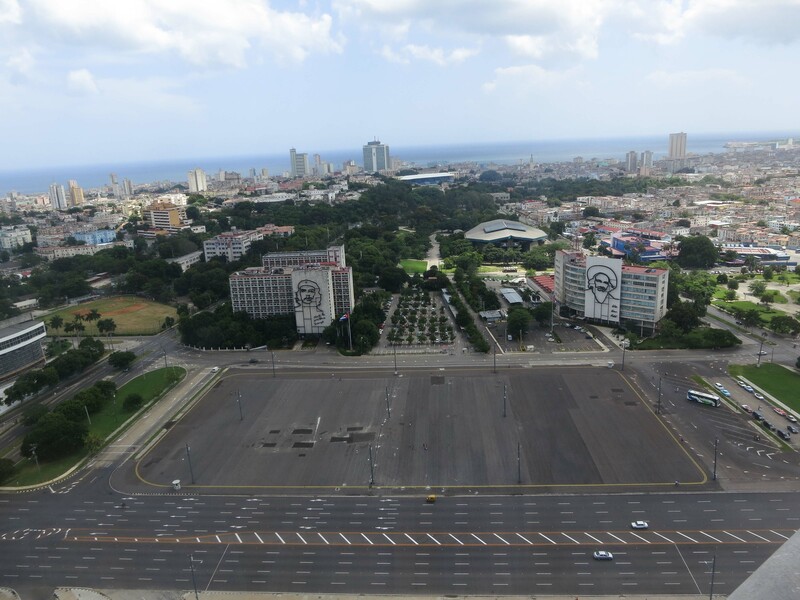 On December 30th Cuban authorities cancelled an open-microphone event at Havana’s Plaza de la Revolución and detained or arrested its organizers. The principal detainee was Tania Bruguera, a Cuban citizen who lives on the island and in Miami, Florida and who is a performance artist. She intended to provide an open-microphone for any attendee to give a one-minute statement on his or her opinions and recommendations for Cuba’s future. This cancellation and related arrests have provoked strong condemnation from the U.S. Department of State and major U.S. newspapers. Initially I was persuaded by such condemnations and worried that they would foster U.S. political resistance to recent U.S.-Cuba reconciliation. After further investigation, however, I have come to reject such harsh condemnations. In order to understand this conclusion, this post will examine what happened in Havana, the reactions from the State Department and western newspapers and then the reasons why I reject such condemnations. The Council, however, also stated that Bruguera had rejected its suggestions on conducting the event subject to the following conditions: (a) move the event to the National Museum of Fine Arts, a prestigious cultural institution in the field of visual arts; (b) the Museum would be freely open to diverse people of dissimilar social sectors; (c) the government would “reserve the right” to bar people whose “sole interest is to be provocative;” and (d) the performance would be limited to 90 minutes. Just hours before the planned event, Cuban police detained, on public disorder charges, Bruguerea and at least three leading dissidents: Antonio Rodiles, the head of Citizens Demand for Another Cuba; Eliezer Avila, the leader of the opposition group Somos Mas; and Reinaldo Escobar, a senior editor of a dissident website 14medio.com. 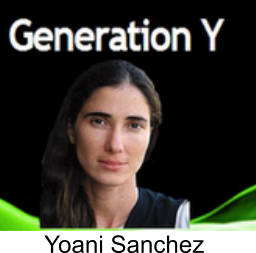 Escobar’s spouse, Blogger Yoani Sanchez, was also detained at her home by police. There were reports that up to 50 members of the political opposition were detained. Ms. Bruguera was released the next afternoon along with most of the political dissidents. She then announced she would hold a news conference and public gathering on the Malecón, Havana’s coastal highway, at the memorial to the Maine, the American battleship that sank in Havana Harbor in 1898. Cuban agents, however, stopped her en route to the gathering and took her away for interrogation. She was told she could not leave Cuba “for two or three months” while the case was being processed. Again she was released. However, on January 1, 2015, she was arrested again along with several dissidents when they went to a jail to demand the release of 15 additional dissidents who had been arrested on the day of the planned event. The next day (January 2) she was released. As a long-time member of the American Civil Liberties Union and as a pro bono attorney in one of its important free speech cases, I am a strong believer in the importance of free speech. Therefore, I initially concurred in the State Department and New York Times’ condemnation of Cuba’s cancellation of this event and related arrests, and I worried that this controversy might cause the U.S. to abandon the recently announced U.S.-Cuba reconciliation. On the other hand, I was and continue to be troubled by the State Department and most of the articles about this event not mentioning the Cuban Fine Arts Council’s willingness to support the event in another location and with certain limits. This action by the Arts Council suggests at a minimum that the State Department and western media are over-reacting to these events and unfairly rushing to judgment. These U.S. critics also forget that governmental authorities in the U.S. sometimes determine that it is not appropriate to stage a protest at a particular time and place. It just happened in my home state of Minnesota at the Mall of America (MOA) on a big shopping day (December 20th). Although MOA officials had told the organizers that it was against its policies for them to hold a “Black Lives Matter” protest at the Mall on that day, they did so anyway as this video shows. After 2,000 to 3,000 protesters flooded a Mall rotunda and held “die-ins” in front of several nearby businesses, riot-gear-clad police officers arrested 25 for trespass, peacefully dispersed the crowd and tried to block people from re-entering the rotunda. Afterwards the local city attorney announced plans “to file additional charges against ‘ringleaders’ of the protest and to seek restitution for the costs of 250 police at the event and lost sales during the two to three hours when more than 75 stores in the mall were closed.” On January 5th some of the protesters spoke against such prosecution at a city council meeting. This story obviously is not yet over. These messages about free beer in the Plaza from a Miami telephone number raise the question of whether the event was actually being planned by the U.S. Agency for International Development (USAID) or another U.S. government agency or by Cuban-Americans opposed to the reconciliation of the two countries. As discussed in prior posts, USAID (U.S. Agency for International Development) had funded via a private contractor at least three covert (or as the agency prefers to say “discreet”) programs in Cuba to promote civil society and dissent or regime change, all without the prior knowledge or consent of the Cuban government. One was for U.S. citizen Alan Gross to take communications equipment to Cuba, for which he was arrested, convicted and imprisoned in Cuba for violating its laws. Another such USAID program via a private contractor unsuccessfully tried to create a Cuban social media program Yet another used Central Americans to promote purported HIV informational efforts on the island. The final one that has been discovered so far by journalists again via a private contractor attempted to infiltrate the Cuban rap-artist community. Perhaps the Times forgot this editorial when it more recently lambasted the Cuban actions over the “open-microphone” event. Although President Obama apparently was talking about encouraging the Cuban government to expand the Cuban people’s rights to express different opinions on what their government should do, a prior post shows some ambiguity in these statements that could allow the continuation of the USAID and State Department’s covert or “discreet” efforts to promote regime change. If the open-microphone event, in fact, was orchestrated by USAID or some other U.S. government agency, it is Orwellian. Such programs purport to promote democracy and human rights with undemocratic and non-human rights means. Such programs are publicly mentioned—in very general terms—on U.S. government websites yet are conducted covertly or “discreetly” on the island. Such programs are hostile to a country with which the U.S. purportedly is attempting to build a normal and respectful diplomatic relationship. These programs also logically motivate Cuban authorities to be vigilant in reacting to events like the “open-microphone” one. This account of the planned event and the arrests by the Cuban government is based on articles in the New York Times, Washington Post, Wall Street Journal, Guardian, Los Angeles Times, National Public Radio, the Cuban Fine Arts Council and again the New York Times. The Plaza is the 31st largest public square in the world; it measures 72,000 square meters (774,936 square feet) and has been the site for crowds of 1 million for major speeches by Fidel Castro and for a mass celebrated by Pope John Paul II. 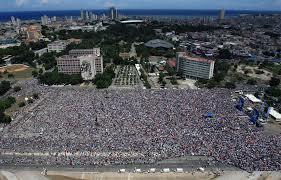 The idea that the open-microphone event might create such a large crowd should have been seen as ridiculous by everyone, including the Cuban authorities, and a small gathering like the 12 or so that showed up on the 30th would have demonstrated the over-reaction of the those authorities in shutting it down and the State Department and western media in attacking the shut-down. Before the protest the local city (Bloomington) sent a letter to the protest organizers warning that the city would enforce the mall’s private-property rights under the authority of a Minnesota Supreme Court decision that held the MOA was a private entity with the right to exclude demonstrators. 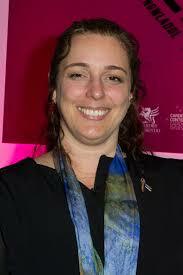 The Director of Security Operations at Telecommunications Company of Cuba reported that since December 21st Cuba had been receiving electronic messages calling for participation in an event with Tania Bruguera. These messages came from a platform “Wake Cuba,” and these messages were similar to previous ones paid for by USAID. Another Cuban source states that some Cuban email addresses were hacked and used to send emails to Cubans about this event. Gross on December 17th was released from Cuban prison and returned to the U.S.